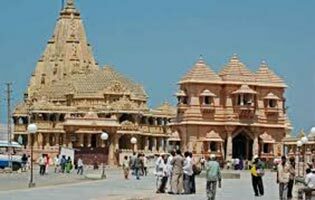 Bhalka Tirth, Triveni sangam, Gita temple, Sun Temple, Cave of Pandav & Hinglaj Mata, Beach & other Sightseeing and ovenight at somnath. Today Process To Diu It is Famous for Beach and Visit to Nagoa Beach, Jalandhar beach, church, fort,Jail and other sightseeing after ovenight at Diu / Somnath. Today Process to Sasan Gir its is one of the Most Famous for Asiatic Lion so take the Visit National Park or Devliya park and also Kankai mata Temple and overnight at sasan / somnath. 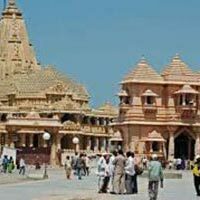 Today Process To Dwarka on arrival visit to Dwarkadhish Temple And Gopi lake ,Rukmani Temple and Other sightseeing in Porbandar Home of Gandhi Ji ,sudama temple and Overnight Stay In Dwarka / Somnath.